Presque tous les membres de l'équipage du navire de Greenpeace arraisonné en septembre en Russie étaient sortis de prison sous caution vendredi, mais la justice internationale a réclamé qu'ils puissent quitter le pays. Le Tribunal international du droit de la mer, basé à Hambourg et saisi par les Pays-Bas, dont l'Arctic Sunrise de Greenpeace bat pavillon, a ordonné de lever la saisie du navire contre le versement d’une caution de 3,6 millions d'euros et de permettre aux membres étrangers de l'équipage de quitter le pays. MOSCOW, November 22, 20:40 /ITAR-TASS/. 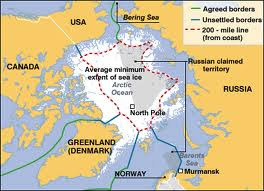 Russia will certainly scrutinize Friday’s resolution of the International Tribunal for the Law of the Sea regarding the Arctic Sunrise case and will formulate a stance on it, the Russian Foreign Ministry said. “We’d like to hope the tribunal tackled the case objectively and took account of all the aspects of the /September 18/ incident involving the ship /from aboard which a group of Greenpeace activists tried to get over to a Russian drilling platform - Itar-Tass/, including a failure of the flag state to honor its international legal obligations and encroachment by ship’s crew on the terms of the 1982 UN Convention on the Law of the Sea in the field of navigation in the exclusive economic zone of a foreign state,” a spokesman for the ministry said. 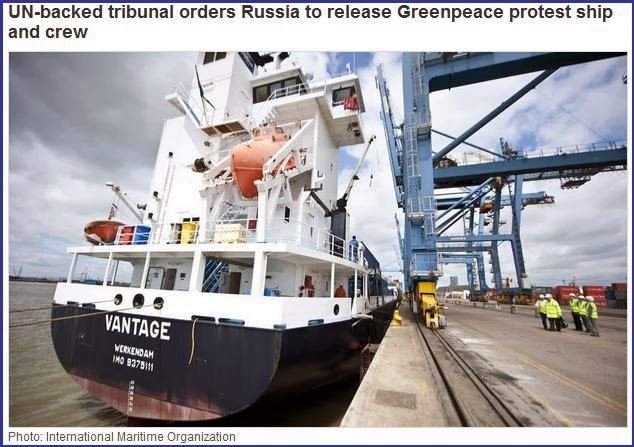 UN-backed tribunal orders Russia to release Greenpeace protest ship and crew. 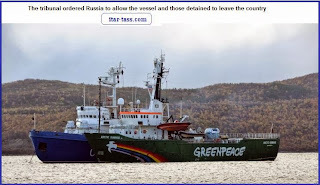 22 November 2013 – The United Nations-backed International Tribunal for the Law of the Sea today ordered that Russia release the Greenpeace ship and its crew that it seized in September following a protest over oil drilling off its coast, once the Netherlands posts a bond of 3.6 million euros. 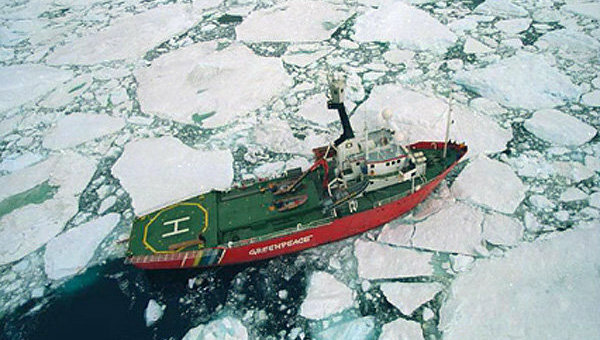 The Arctic Sunrise – an icebreaker operated by the environmental group and which flies the flag of the Netherlands – was boarded by Russian officials on 19 September, brought to the port of Murmansk Oblast and detained. Nach dem gescheiterten „Angriff“ der Umweltorganisation Greenpeace auf eine russische Ölbohrinsel in der Barentssee droht den festgenommenen Aktivisten ein Verfahren wegen Piraterie. 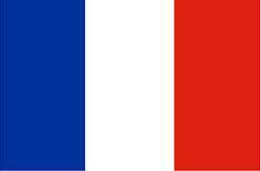 Der Grenzschutz habe in dem Vorfall Anzeichen eines Verbrechens gesehen, das unter den Artikel „Piraterie“ falle, teilte das Ermittlungskomitee der Russischen Föderation am Freitag mit. 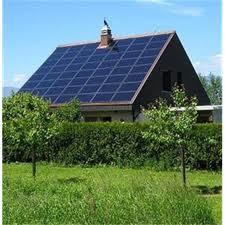 Eine „prozessuale Überprüfung“ sei eingeleitet worden. Auf Seepiraterie stehen laut russischem Recht bis zu 15 Jahren Haft. 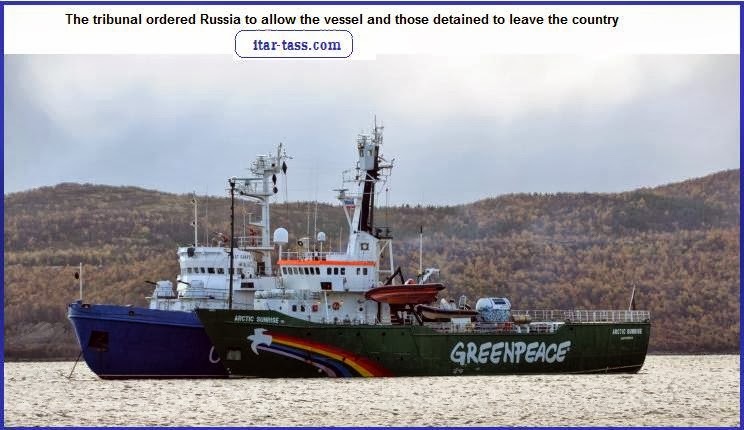 Beamte der russischen Küstenwache sind am Montag an Bord des Greenpeace-Schiffs "Arctic Sunrise" gekommen, um dort eine "Inspektion" durchzuführen. Zuvor hatten die Beamten mit dem Einsatz von Schusswaffen gedroht. Unter Protest ließen sich die Aktivisten daraufhin auf eine Durchsuchung ihres Schiffes ein. 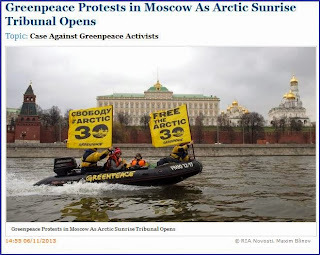 Die russische Küstenwache eskortiert mit dem Schiff "Viktor Kingisepp" seit rund zwei Tagen die "Arctic Sunrise", die vor Ort friedlich gegen geplante Ölbohrungen von Rosneft und ExxonMobil protestieren will. Die "Arctic Sunrise" war von den russischen Behörden bereits in der letzten Woche die Fahrt durch die Nord-Ost-Passage untersagt worden, obwohl das Schiff die technischen Bedingungen erfüllt. Die Crew der Arctic Sunrise hatte sich hiernach dazu entschlossen, die Fahrt in arktische Gewässer trotz Durchfahrt-Verbots fortzusetzen.